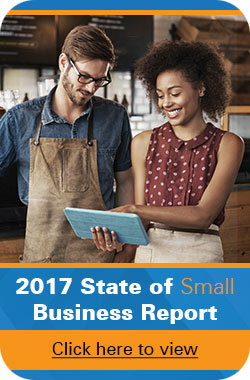 For many small businesses, growing revenue and increasing profit is a constant objective and often a worry. Growing revenue is the top business challenge for companies with 11-50 and 51-100 employees (and the number two challenge for companies with over 100 employees). While many try to maximize profits by streamlining their supply chain or cutting corners in their business model, they overlook a fairly simple solution: upgrading their time and attendance systems. Traditionally, employees tracked their hours, overtime and breaks manually, using punch cards or timesheets that were then calculated by hand. Time and attendance software, by comparison, can be integrated into existing payroll systems and will turn an error-prone procedure into an automated process that eliminates fraud, mistakes, and the ambiguity that leads to legal issues. According to an anonymous survey of retail and service industry employees by Kessler International, an incredible 80 percent of workers admitted to “time theft,” which includes using a personal phone while on company time, adding additional hours to their timesheets, not clocking out for unpaid breaks and “buddy punching,” the practice of punching in for an employee who isn’t at work. This type of fraud may not seem like a big deal to individuals who steal a few minutes or hours per week, but over the course of months and years, this can greatly affect your bottom line. A system that uses a biometric time clock (which utilizes personal identifiers like fingerprints) prevents buddy punching, or the capacity for employees to put down incorrect hours for time worked, intentionally or otherwise. The phrase “You’re only human” applies here. Humans simply can’t compete with machines when it comes to adding, subtracting and otherwise calculating hours written on timesheets. Opportunities for error will only increase as your business grows and workforces become increasingly mobile. According to the Harvard Business Review, employees’ inability to correctly fill out time sheets costs billions a day. Employees should be focused on the jobs for which they were hired and are best suited, not on a menial task that, unless performed multiple times per day, will hardly ever be accurate. Not only does taking time to fill out timesheets distract workers from their goals, but it’s often additional time on the clock that isn’t spent moving your company forward. Instead, your workers waste time looking back. Homewood Suites by Hilton, for example, often had issues with employee I.D. cards that were used to swipe in and out of work. If an employee forgot their card, or their card did not function properly, extra time was spent hunting down a manager for a manual punch-in. Managers, in turn, had to adjust timesheets to account for employees who were victims of a malfunctioning I.D. card. These actions were a consistent waste of time and money, and the solution wasn’t to let employees punch in for each other or to take time to address discrepancies, it was to upgrade their time and attendance system. “We were up and running within an hour and we haven’t worried about employee time tracking since then,” said Margo Solis, Manager, Homewood Suites by Hilton® at Denver International Airport after their new time and attendance system was implemented. Companies that pay extra for overtime are unquestionably hemorrhaging money unnecessarily. Of course, if an employee works a full slate of hours and then goes over, he or she is entitled to overtime, but as we’ve seen, people tend to exaggerate exactly how long they’ve been on the clock. This leads to more overtime hours (and more pay given out as a result) than should be necessary. A death of data regarding how much your employees worked can come back to haunt you in the form of a lawsuit. In recent years, the number of fair-labor practice lawsuits has skyrocketed with the primary complaint being working more than 40 hours a week without overtime pay. As a result, in 2011 the U.S. Labor Department recovered $225 million in back wages. If an ex-employee looking for an easy pay day accuses you of such a crime, automated records of time punches (even those that have been altered, usually with a manager’s approval) are the best defense. Some reluctant business owners cling to the idea that purchasing time and attendance software is too much of an upfront cost to justify, when pens, paper and old-fashioned punch card machines work just fine. Having to constantly replenish limited and fatigable resources can actually be more expensive in the long run. In fact, purchasing office equipment and supplies is one of the 10 hidden costs of running a small business. Stress can be costly: Employees under high levels of stress can cost 40 percent more than the average worker thanks to absenteeism, productivity loss and related health care. One of the major benefits that Select Labs’ employees found with the addition of time and attendance software was stress-free payroll, a process that used to take four days a month, and often included coming in on weekends, was cut by more than 75 percent. The old adage “Time is money” is particularly fitting when it comes to time and attendance software. If you’re still relying on a manual system for calculating payroll hours, you are letting factors such as human error, fraud and stress take a toll on your business’s time and thus, your bottom line. Eliminate the extraneous variable that is inefficient time keeping and upgrade your time and attendance system before it’s too late. How would an updated Time and Attendance System help your employees, and in turn your company, work more efficiently? We’ve Hired 37,000 Security Contractors for the Sochi Olympics, Now What?